Those opposed to the teaching of evolution often make well-rehearsed claims about the science that sound powerful and convincing. And many people who support the teaching of evolution—students, teachers, parents, administrators—do not have the background to respond. They know that scientists have thoroughly dismantled these arguments, but they don't have a handy way of responding to these attacks. 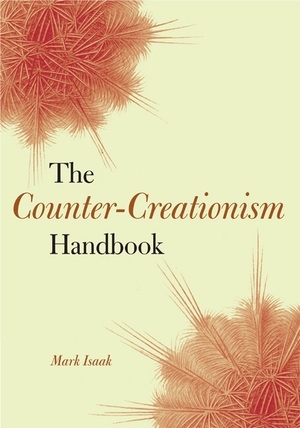 The Counter-Creationism Handbook is a one-stop resource for addressing over 400 of the most prevalent claims made by creationists. Each claim is followed by a succinct and scientifically valid rebuttal, and the book includes print and on-line resources for further reading and information. * Covers claims made about the disciplines of philosophy, biology, paleontology, geology, astronomy, physics and mathematics, history, and more. * Addresses the claims of Biblical creationism, intelligent design creationism, and some creationism based on non-Christian religions. * Includes an introduction on how to address creationists in different venues, how to deal with novel claims, and why accurate science is important. * Is organized thematically, with extensive cross-referencing. Mark Isaak has written numerous articles on the creation/evolution debate. He is the editor of the "Index of Creationist Claims" on the acclaimed website www.talkorigins.org.